Connectivity, increased trade and business, power and energy issues will get priority during the visit of Bhutanese Prime Minister Lotay Tshering who is expected to come to Dhaka in the second week of April. 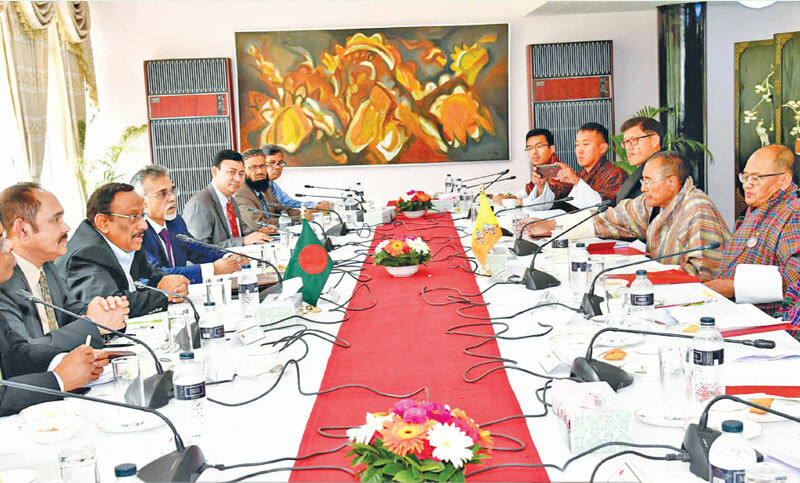 “The Bhutanese premier is expected to visit here at the invitation of Prime Minister Sheikh Hasina to increase cooperation on trade, inland waterways, health and agriculture sector between the two countries,” said Foreign Secretary Md Shahidul Haque on Tuesday. Shahidul briefed the media after a meeting with his Bhutanese counterpart Sonam Tshong at the state guesthouse Meghna. During the visit, a number of bilateral instruments are expected to be signed to increase cooperation on inland waterways for cargo transportation, health and agriculture sectors, he said. The Bhutanese foreign secretary expressed his happiness over holding of the Foreign Office Consultation (FOC), which holds special significance in light of the forthcoming visit of the Bhutanese prime minister to Bangladesh. He highlighted that Bangladesh holds a special place for the prime minister of Bhutan since he is an alumnus of Mymensingh Medical College.